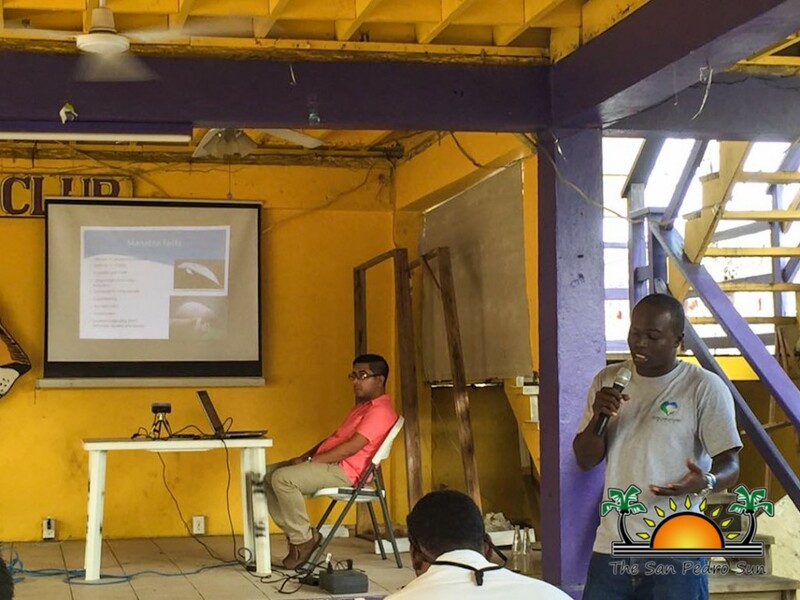 The importance of protecting the endangered Antillean manatee cannot be stressed enough by Belize’s environmentalists, and as such, a workshop on their conservation was held in San Pedro on Thursday, December 10th for tour guides and boat captains. 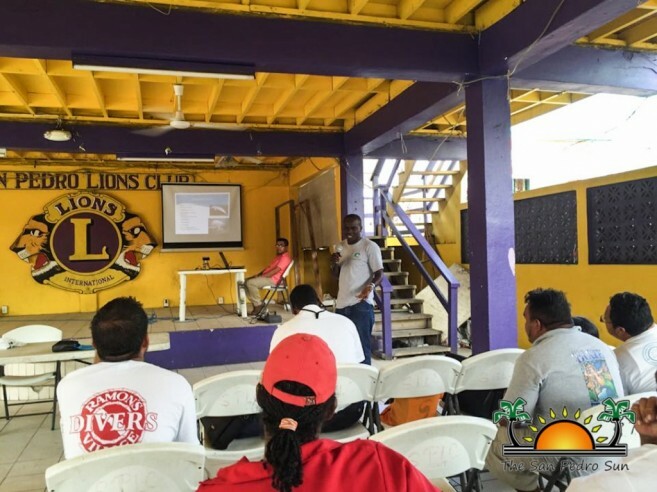 Representatives from the many tour companies in San Pedro gathered at the Lion’s Den at 1PM to participate in the event which provided valuable information for tourism industry partners on manatees. 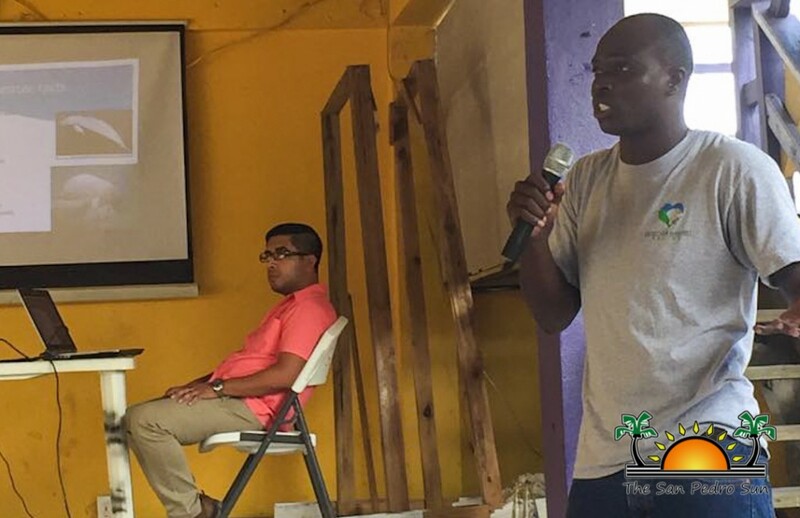 The workshop was a collaborative effort of the Belize Tourism Board (BTB), Sea to Shore Alliance (C2S), Belize Forest Department, Belize Port Authority and Swallow Caye Wildlife Sanctuary. Opening the workshop was Maria Vega of Swallow Caye Wildlife Sanctuary, who welcomed everyone to the event, and explained what would be covered during the workshop. The first presentation was given by Jamal Galves of C2S. Galves, a self-made manatee expert who has dedicated much of his life towards the protection of these animals, spoke on the basic details of these gentle giants, including their habitats, importance to society, population dynamics, reproduction, eating habits, as well as the threats they face in Belize. According to Galves, roughly 1,000 manatees remain within Belizean waters. While population numbers still remain healthy compared to that of other regions, manatee fatalities have been escalating each year. Boat collisions remain one of the main causes of manatee fatalities, with poaching still being a concern as well. Some of the main tips for manatee protection given at the workshop included: keep a watch out for injured or dead manatees, avoid boating over sea grass beds, properly dispose of garbage while out at sea, do not touch or interfere with wild manatees and, most importantly, respect ‘No Wake Zones’. Tour guides are asked to report incidents regarding manatees to the Coastal Zone Management Authority and Institute at 223-0719. Also presenting was Edmund Staine of Belize Port Authority on the importance of ‘No Wake Zones’ and safe boating practices. Victor Chi of the Belize Forest Department spoke on the laws that protect manatees in Belize and what can be done to report offences. The final presentation was from Maria Vega, who detailed the work done within the manatee conservation at Swallow Caye Wildlife Sanctuary.